**Location, Location, Location** Stop what you're doing and come check out this charming Estate! This is a rare opportunity for you to own a piece of property located in the desirable community of Ravenwood where you are surrounded by homes on acreage. 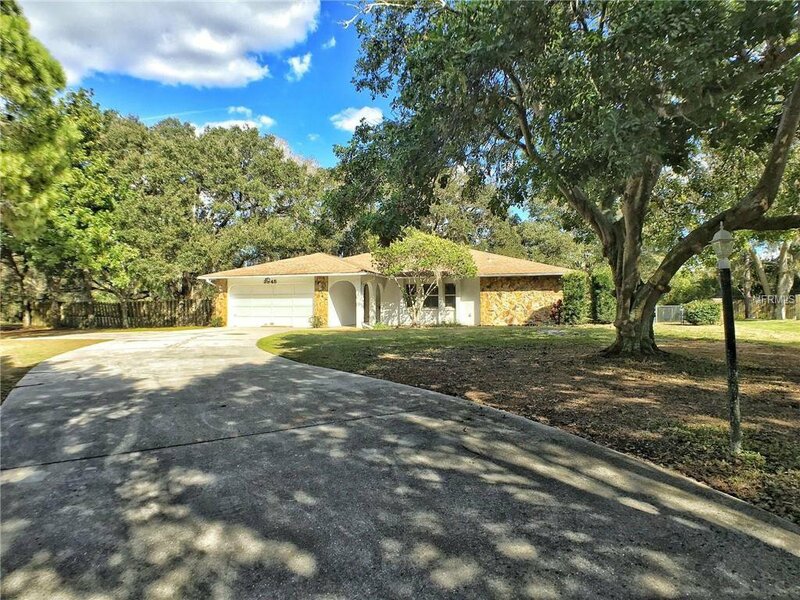 This 3 bedroom, 2 bathroom home sits on a unique parcel that offers 1 full acre of land and has 212 feet of freshwater canal frontage! The expansive canal that it overlooks is over 115 feet wide, perfect for those lazy Sundays in your john boat. The water views of this property will take your breath away! The scenic backyard doesn't disappoint either with looming beautiful oak trees which adds that old Florida character. BBQs, nature-infused relaxation, fishing from your backyard are only a few endless opportunities here. The backyard is partially fenced, all you need to do is finish it up in one corner; a great yard for dogs! Don't let me forget to mention that this property is at the end of a cul-de-sac which provides an even more quiet atmosphere. Only 10 minutes to Downtown Sarasota and 25 minutes to St Armands Cir where you are close to shopping dining and more! All of this for an affordable price tag. What more could you ask for? Show this property today! Listing courtesy of ANYTIME REALTY LLC. Selling Office: ANYTIME REALTY LLC.